When it comes to root canals, there are a lot of myths about the procedure. Endodontists are trained in root canal therapy and know exactly what is fact and what is fiction. 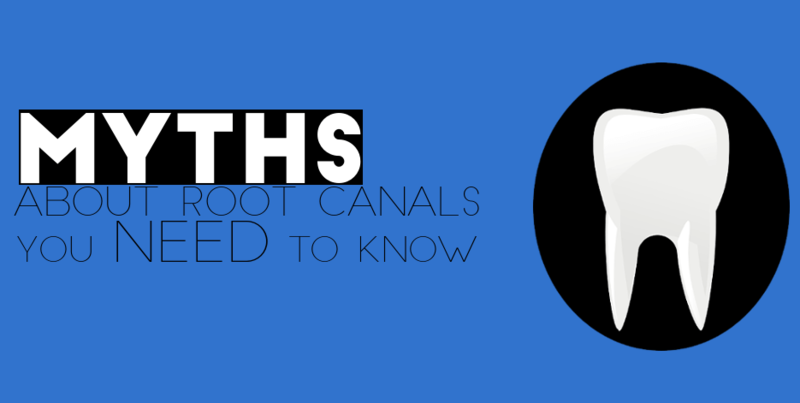 Here are a few myths about root canals that you need to know about before making a decision regarding your oral health. False. That’s right, all the moans and groans you’ve heard about root canal treatment are wrong. While in the past people may have experienced severe pain from a root canal, they no longer do, if any pain is felt, it is minor. Modern treatment aims to relieve the pain of an infected tooth rather than cause more. A root canal removes the damaged and infected tissue in the tooth, which alleviates pain. Cutting edge technologies and anesthetics make it possible for an endodontist to perform the procedure mostly pain-free. Some difficult cases may experience minor pain, but the majority of cases experience little to no pain. MYTH! For a long time it was believed that endodontic procedures caused other illnesses throughout the body. There was no medical evidence behind this at the time, and there is still no medical evidence that confirms a link between root canals and the cause of other illnesses, this belief is false. In fact, root canals strive to remove bad bacteria from the infected part of the mouth and work to prevent reinfection. These measures are taken to promote healing and overall health. This means that root canals are designed to fight off illness and infection, not cause it. False, the truth is that saving your teeth is the best option. If you have the choice between a root canal and an extraction, try to get a root canal. This is because nothing can replace your natural tooth. No denture or implant will work exactly the same as a natural tooth. An artificial tooth might cause you to avoid some foods because it is not strong enough to withstand chewing them. But, if you receive a root canal, then, most of the time you will be able to keep your tooth for life, and continue to enjoy all of your favorite foods. Now that you know the truth about root canals, you can make an informed decision when talking to your dentist about the best decision for your oral health.